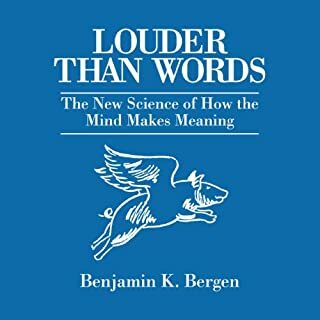 Whether it’s brusque, convincing, fraught with emotion, or dripping with innuendo, language is fundamentally a tool for conveying meaning - a uniquely human magic trick in which you vibrate your vocal cords to make your innermost thoughts pop up in someone else’s mind. You can use it to talk about all sorts of things - from your new labradoodle puppy to the expansive gardens at Versailles, from Roger Federer’s backhand to things that don’t exist at all, like flying pigs. 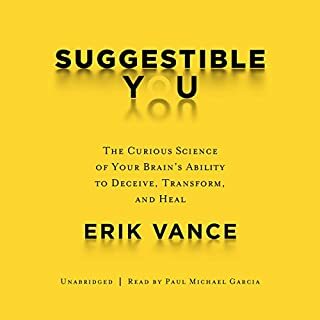 This riveting narrative explores the world of placebos, hypnosis, false memories, and neurology to reveal the groundbreaking science of our suggestible minds. Could the secrets to personal health lie within our own brains? Journalist Erik Vance explores the surprising ways our expectations and beliefs influence our bodily responses to pain, disease, and everyday events. 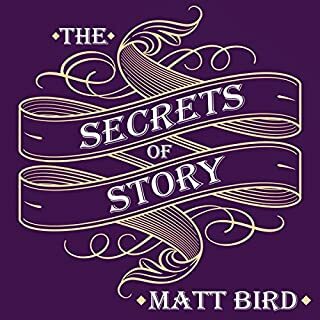 The Secrets of Story is a revolutionary and comprehensive writing guide for the 21st century, focused on clever ways to get an audience to fully identify with an all-too-human hero. Authors will learn to how to cut through pop culture noise and win over a jaded modern audience by rediscovering the heart of writing: shaping stories that ring true to our shared understanding of human nature. We live in a competition loving culture. We love the performance, the big win, the ticking seconds of the clock as the game comes down to the wire. We watch games and cheer, sometimes to the point of obsession, but if we really wanted to see greatness - wanted to cheer for it, see it happen, understand what made it happen - we’d spend our time watching, obsessing on, and maybe even cheering the practices instead. 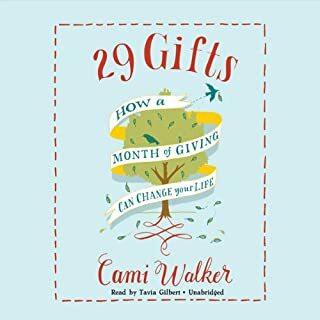 At age 35, Cami Walker was burdened by a battle with multiple sclerosis, a chronic neurological condition that made it difficult for her to walk, work, or enjoy her life. Seeking a remedy for her depression after being hospitalized, she received an uncommon prescription from an African medicine woman: give to others for 29 days. In the depths of the Great Recession, a cancer nurse, a car dealership worker, and an insurance fraud specialist helped uncover the largest consumer crime in American history - a scandal that implicated dozens of major executives on Wall Street. 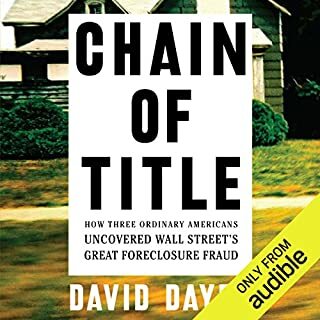 They called it foreclosure fraud: Millions of families were kicked out of their homes based on false evidence by mortgage companies that had no legal right to foreclose. Enthralling, powerful and practical - a must! Words on the Move opens our eyes to the surprising backstories to the words and expressions we use every day. Did you know that silly once meant "blessed"? Or that ought was the original past tense of owe? Or that the suffix -ly in adverbs is actually a remnant of the word like? And have you ever wondered why some people from New Orleans sound as if they come from Brooklyn? The father of cognitive neuroscience and author of Human offers a provocative argument against the common belief that our lives are wholly determined by physical processes and we are therefore not responsible for our actions. Use Your Credit On "Who's In Charge"
The novel opens on the eve of World War II. In the mountain village of Half-Village, a young man nicknamed the Pigeon, under the approving eyes of the entire village, courts the beautiful Anielica Hetmanska. But the war's arrival wreaks havoc in all their lives and delays their marriage for six long years. What would the world look like if everybody had everything they wanted or needed? Trekonomics, the premier book in financial journalist Felix Salmon's imprint PiperText, approaches scarcity economics by coming at it backward - through thinking about a universe where scarcity does not exist. Delving deep into the details and intricacies of 24th-century society, Trekonomics explores post-scarcity and whether we, as humans, are equipped for it. In 1972, when she was seven, Firoozeh Dumas and her family moved from Iran to Southern California, arriving with no firsthand knowledge of this country beyond her father's glowing memories of his graduate school years here. The key lies in what the authors call "emotional agility," the ability to access our full range of emotions - not just the "good" ones - in order to respond most effectively to whatever situation we might encounter. 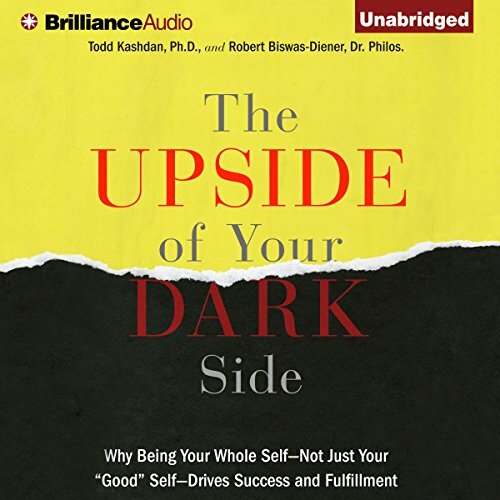 Drawing on years of scientific research and a wide array of real-life examples including sports, the military, parenting, education, romance, business, and more, The Upside of Your Dark Side is a refreshing reality check that shows us how we can truly maximize our potential. This book teaches to understand myself and others from a holistic point of view. It allowed me to see myself as a whole with positive and negative emotions; but most of all, it shows how to use these emotions so I can be a better person. Interesting listen, well read. I totally agree with the 'Whole Person' the authors assert. The discussion on Narcissism was both surprising and delightful. What captured me immediately, and I believe deserves further exploration--maybe even another book--was the topic of how comfort has totally influenced our culture. Defines our culture is probably more accurate, and the unintended consequences of heated seats, and perfectly designed coffee holders. I was only able to stop getting annoyed by the narration after I sped up the recording by 1.25 times. Else, the fake interested narrator would leave you disgusted with the book. The topics and transitions are not well organized. But there are some interesting concepts every now and then. I like self help books and thought the utility of "embracing your dark side", might offer some interesting insights, and, I guess, it did deliver some. Unfortunately I found the narration displeasing, sometimes seeming glib and superior. I suspect some of that voice was in the writing and some issued from the narrator. Still, it made it a difficult listen, and did not dispose me to accept the views of the authors. I thought their understanding of Buddhist thought was pretty shallow. At any rate, the sort of Buddhism which interests me, very much recognizes the significance and actually values recognition of our "dark side". And, I thought the discussion of the utility of sociopathic traits could have been better balanced, the lauding of the effectiveness of the lack of empathy and conscience juxtaposed with the potential for harm. But, as a counter to the sort of superficial embrace of pure "positivism", the book has value. 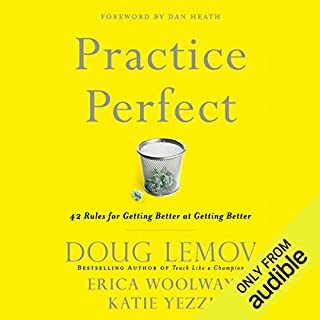 One of the things the author talks about is on having agility: social agility (being able to handle social situations as they come), mental agility, and emotional agility (being able to handle negative and positive emotions as they come). He also talks a lot about something called &amp;quot;comfort addiction&amp;quot; and why this is bad. The more materialistic items we have the less happy we are. There is no feeling of achievement or accomplishment when getting something we want with little to no required effort. According to the author's, we should spend 33% of our time facing adversity and dealing with and endure pain. Overall he talks about having willpower and why it's important to do the things you don't like to do. He gives some great tips on how to do that but you'll have to read the book to find that out yourself. There's a lot more to it than that and I highly recommend you check it out. Hope this helped. Happy Reading and Cheers! This book is exactly what the title says. In this instance we can judge a book by its cover LOL. I've always struggled with being too nice this book here has opened my eyes and my mind to a new way of thinking and being. Over all we must learn to embrace our dark side because it is necessary to maneuver through today's society. This book points out why we get more stuff done when we're upset. Not sure why but this book just didnt grab or inspire me much. Asssertions are backed up by solid research, but I think they went a little too deep into research aspects at the expense of readability. Anyway, the ideas were good, but not inspiring - I honestly only remember the gist which is negative emotions can sometimes be helpful. All New Agers must read for Cognitive Dissonance.